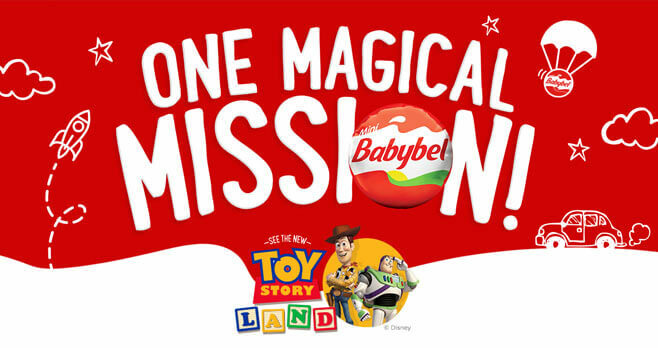 Go to BabybelMagicalMission.com and join Babybel by playing the One Magical Mission Sweepstakes and Instant Win Game. You could win a vacation to play big at the new Toy Story Land area at Walt Disney World Resort. Plus, instantly win prizes every day through September 30, 2018. Ends: Ends on September 30, 2018 at 11:59:59 PM ET. Prizes: The Sweepstakes Prize consists of a 6 day / 5 night vacation package to the Walt Disney World Resort for Sweepstakes winner and up to 3 guests. The Instant Win Game prizes include Disney Gift Card eGifts, Mini Babybel Toy Story Land Backpacks, Woody Action Figures, Mini Babybel Custom Viewfinders, Mini Babybel and Toy Story Land Co-Branded Lunchboxes, Mini Babybel Themed Popsockets, and Bullseye Plush Figures with Sound. Eligibility: The Babybel One Magical Mission Sweepstakes and Instant Win Game is offered only to legal residents of the 50 United States and the District of Columbia who are at least 18 years old at the time of entry.